In 1984 Sebastião Salgado began what would be a fifteen-month project of photographing the drought-stricken Sahel region of Africa in the countries of Chad, Ethiopia, Mali, and Sudan, where approximately one million people died from extreme malnutrition and related causes. Working with the humanitarian organization Doctors Without Borders, Salgado documented the enormous suffering and the great dignity of the refugees. This early work became a template for his future photographic projects about other afflicted people around the world. Since then, Salgado has again and again sought to give visual voice to those millions of human beings who, because of military conflict, poverty, famine, overpopulation, pestilence, environmental degradation, and other forms of catastrophe, teeter on the edge of survival. 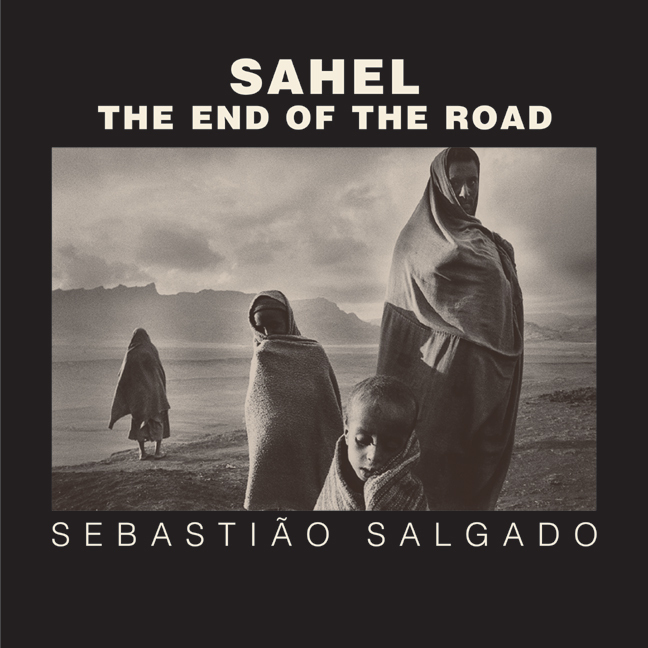 Beautifully produced, with thoughtful supporting narratives by Orville Schell, Fred Ritchin, and Eduardo Galeano, this first U.S. edition brings some of Salgado's earliest and most important work to an American audience for the first time. 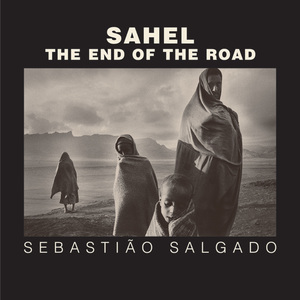 Twenty years after the photographs were taken, Sahel: The End of the Road is still painfully relevant. Born in Brazil in 1944, Sebastião Salgado studied economics in São Paulo and Paris and worked in Brazil and England. While traveling as an economist to Africa, he began photographing the people he encountered. Working entirely in a black-and-white format, Salgado highlights the larger meaning of what is happening to his subjects with an imagery that testifies to the fundamental dignity of all humanity while simultaneously protesting its violation by war, poverty, and other injustices. "The planet remains divided," Salgado explains. "The first world in a crisis of excess, the third world in a crisis of need." This disparity between the haves and the have-nots is the subtext of almost all of Salgado's work. Sebastião Salgado has been awarded more than fifty international prizes from countries including France, Germany, Holland, Spain, Sweden, Japan, and the United States. He has twice been named Photojournalist of the Year by the International Center of Photography in New York. He is a UNICEF Goodwill Ambassador and an honorary member of the Academy of Arts and Sciences in the United States. Major exhibitions of his work include Sahel: L'Homme en détresse (1986), Other Americas (1986), An Uncertain Grace (1990), Workers: An Archaeology of the Industrial Age (1993), Migrations: Humanity in Transition (2000), and The Children: Refugees and Migrants (2000). Orville Schell is Dean of the Graduate School of Journalism at the University of California, Berkeley. Fred Ritchin is Director of PixelPress (www.pixelpress.org), Associate Professor of Photography and Imaging at New York University, and former Picture Editor for the New York Times Magazine. Eduardo Galeano's books have been translated into more than twenty languages. He is the winner of the Lannan Prize for Cultural Freedom. Lélia Wanick Salgado conceived, created, and edited almost all of Sebastião Salgado's books, as well as most of his exhibitions. She is the Director of Amazonas Images.